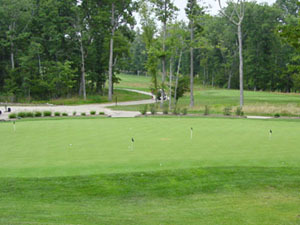 Westfields Golf Club offers a 23 station driving range with both grass and mat options, a 11,000 sq/ft putting green and pitching area. Driving range balls are included in your greens fees, so arrive early to allow ample time to warm up. A daily range pass can also be purchased for $20 (unlimited golf balls) for non-golfing guests.